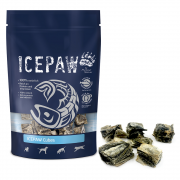 Our ICEPAW Snack Bag is designed with attention to detail. 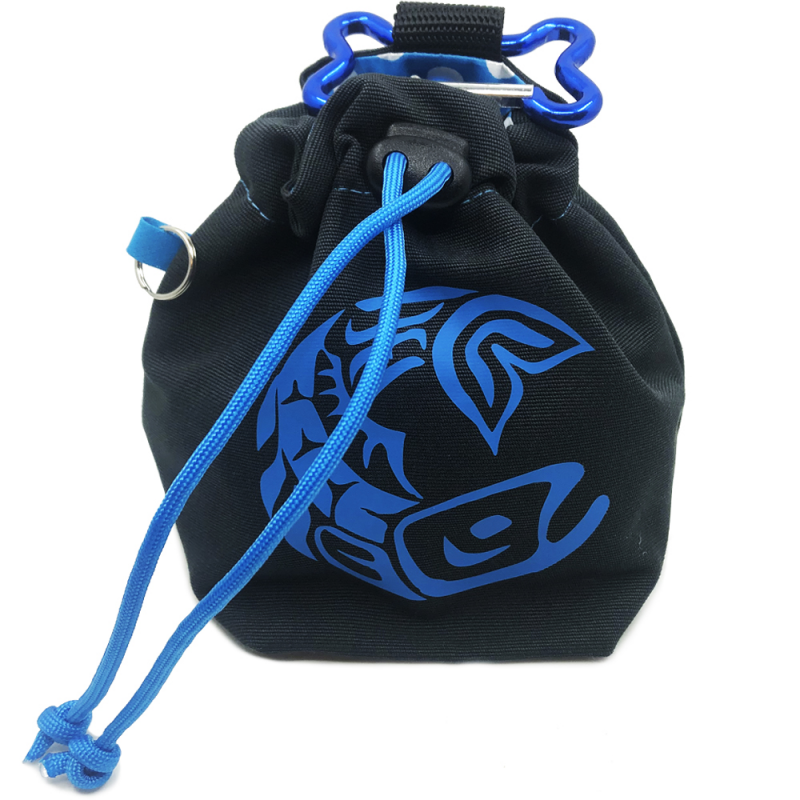 Interior with washable material and drawstring to close in striking colors selectable. Extra large opening for quick use of treat. 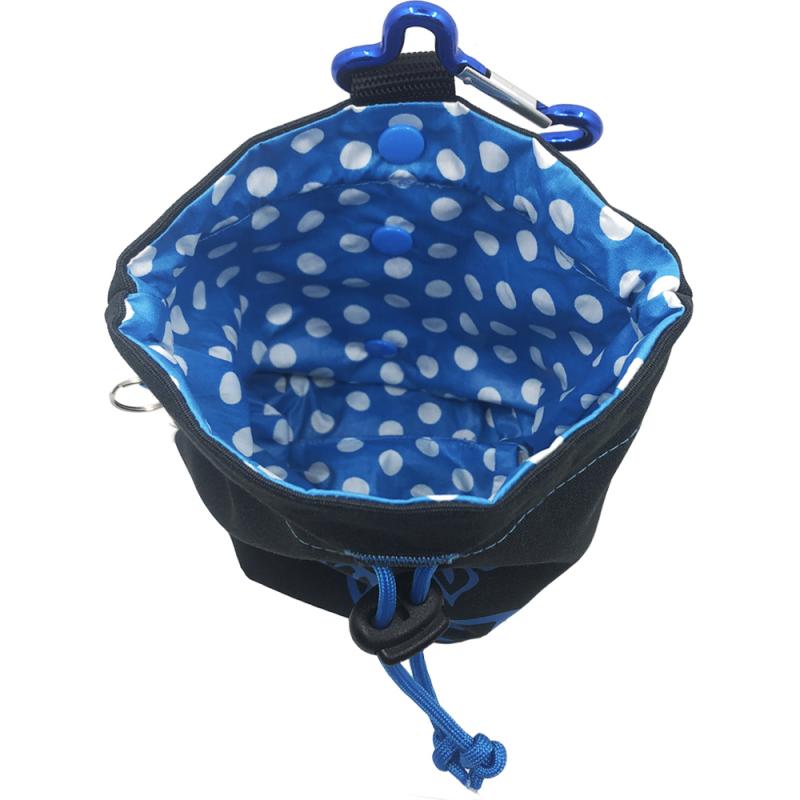 The Snack Bag is equipped with a karabiner in bone form to attach, as well as snaps on the back for further attachment.